This New Year started off for me by getting a really nasty cold. It's really been a long time since I've had a cold, and by 'long time' I mean years. I’m glad and grateful that I am ill right now. You know we have such a blessed gift from our Creator. It's called sickness. It's one of the few things that instantly draws you closely to God. You have no choice. Especially after medicine has done to help you, you automatically have this thought that I need to develop a link with my Maker. Sickness has the ablitity to wipe out our sins and rid the body from dead substances and germs. It is a blessing in disguise really machAllah! Over the winter break I spent some time playing around in the kitchen, as I usually do in the winter trying to come up new drink recipes to cozy with up and ward off the winter chills with. Grapefruit is hugely unused winter fruit. Grapefruit is one of the 10 healthiest fruits for your body? Although oranges are a great source of vitamin C, grapefruits pack a bigger punch. Just half of a grapefruit contains nearly 50 percent of your daily vitamin C, as well as high levels of fiber, potassium, and vitamin A. Studies have suggested that grapefruit can alleviate the symptoms of arthritis and repair damaged or oily skin and hair. It’s little wonder that this delicious fruit is no longer just a breakfast staple. It's a hydrating food that is packed with energy producing vitamins, minerals, and phytonutrients. I like to use it in baking as well as drinks. Grapefruit aromas can curb depression and enhance memory. Or try taking a whiff before meals to control your appetite. Research from Japan's Osaka University shows that the scent of grapefruit actually boosts metabolism and reduces food cravings. GrapefruitIt's my welcome winter in the Mediteranean drink for winter. While many of you out there are enjoying steaming cup of peppermint lattes I'm enjoying the sunshine, even through illness. And that shines, literally through in this drink. 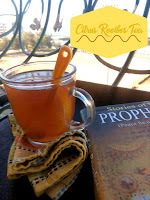 I used Rooibos tea also known as red tea as the base. Rooibos comes from a plant grown in South Africa (Aspalathus linearis). 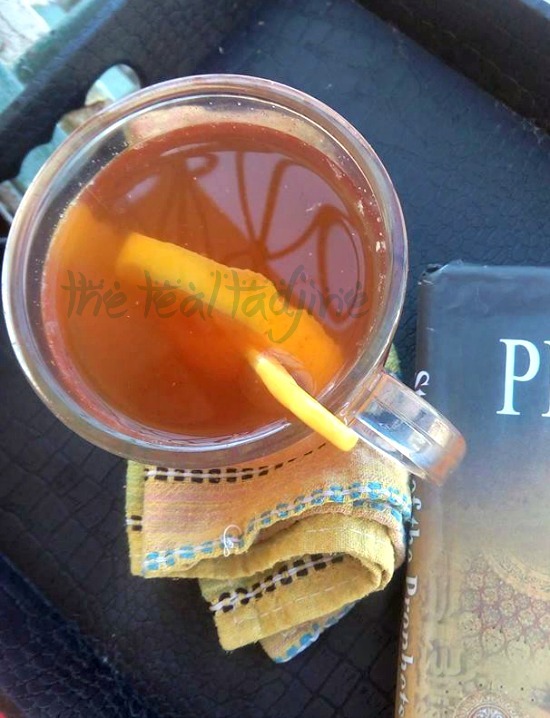 This popular beverage makes a red tea that is sweet, aromatic and caffeine free. Rooibos tastes great on its own but it also is delicious with other herbs and spices. When brewed it makes a beautiful red beverage and because of this it is sometimes referred to as red tea. 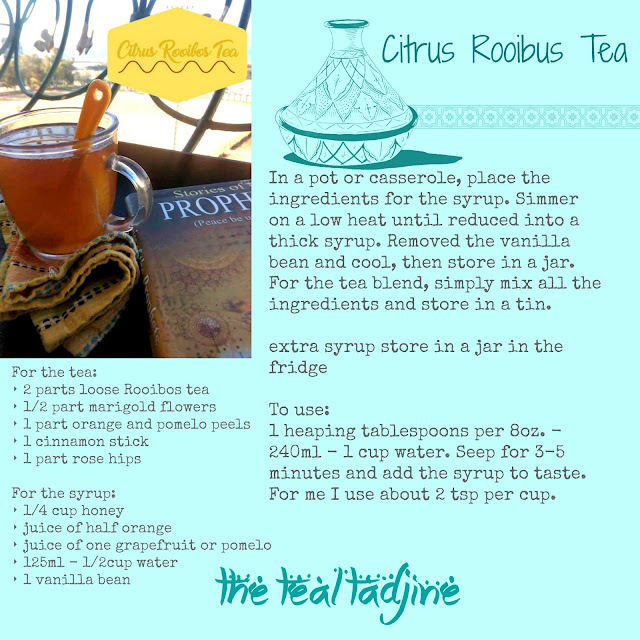 Rooibos is a delicious herbal tea that does not contain caffeine. YEAH! Love that! I used a blend of pomelo, grapefruit and orange. You can use whatever citrus you have around. In a pot or casserole, place the ingredients for the syrup. Simmer on a low heat until reduced into a thick syrup. Removed the vanilla bean and cool, then store in a jar. For the tea blend, simply mix all the ingredients and store in a tin. 1 heaping tablespoons per 8oz. - 240ml - 1 cup water. Seep for 3-5 minutes and add the syrup to taste. For me I use about 2 tsp per cup. ⇝ The tea will keep for a long time. And the syrup in a air-tight jar for up to a month. 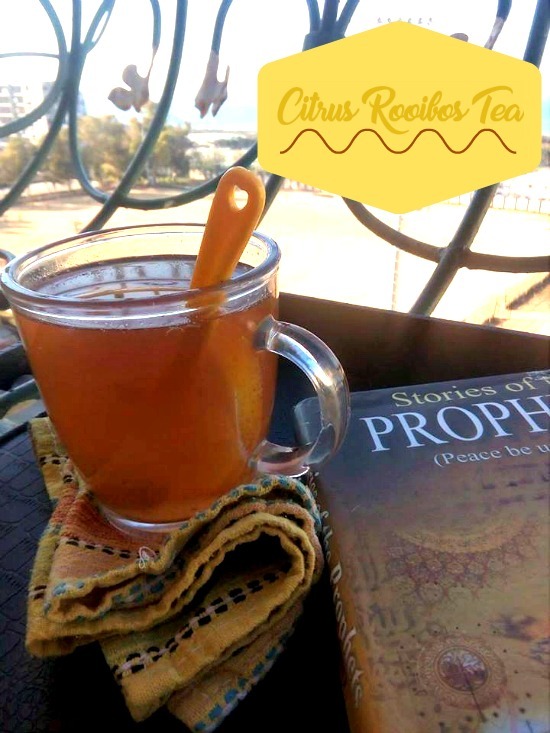 ⇝ You can add other citrus fruit peels in this tea as well. Looking for something to serve this with? Dolma would pair nicely with this dish. Don't forget the bread to sop up the juices. Below is savable & share-able Recipe Card. Just click right to save to your PC or savescreen on mobile. Facebook, see what's going on today on Instagram or even pin along with me on Pinterest .